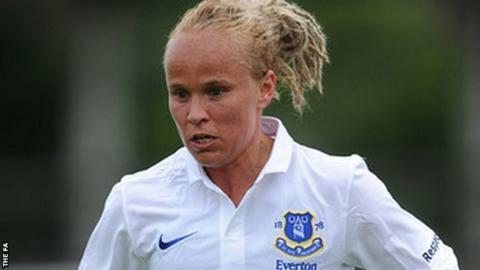 Doncaster Rovers Belles and former England striker Jody Handley has retired from football. The 36-year-old signed from Everton in January but failed to make any appearances for the club. Handley told the club website: "It has been an extremely tough decision for me to make. "After the recurrence of previous injuries throughout pre-season, I felt it was my body's way of telling me enough is enough". Handley, who previously played for Liverpool, Shrewsbury and Wolves, captained Everton to victory in the 2008 League Cup and the FA Cup in 2010. After making her international debut in 2002 against Nigeria, she ended her international career with 38 caps and six goals. "I signed for Doncaster at the beginning of the year with every intention of helping them to secure promotion back into the WSL 1. Unfortunately this wasn't to be the case." Handley added. The forward, who has struggled with knee problems in recent years, says she will now train to be a physiotherapist.